A new crafting MMO game Salem is coming soon to Linux. Published by Paradox Interactive and developed by Seatribe, the game is currently heavily under development with a closed alpha expected next month. 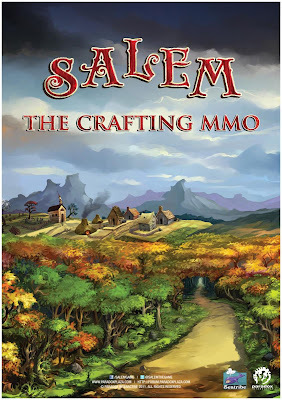 Salem is set in a fantastical New England and offers free form massively multiplayer gameplay in a persistent online world. Players take roles of intrepid colonists from the Old World seeking to make lives for themselves in the New. Salem provides them with unique crafting, farming and building systems inspired by 17th century alchemy. While the game is clearly based on a Gothic theme, Salem's lighthearted art style makes for the perfect contrast to the otherwise grim realities of open player-versus-player combat and permanent death. I had a word with the developers and they have confirmed that a Linux version will be indeed there and the game will be Java based. Open PvP combat with permanent death.